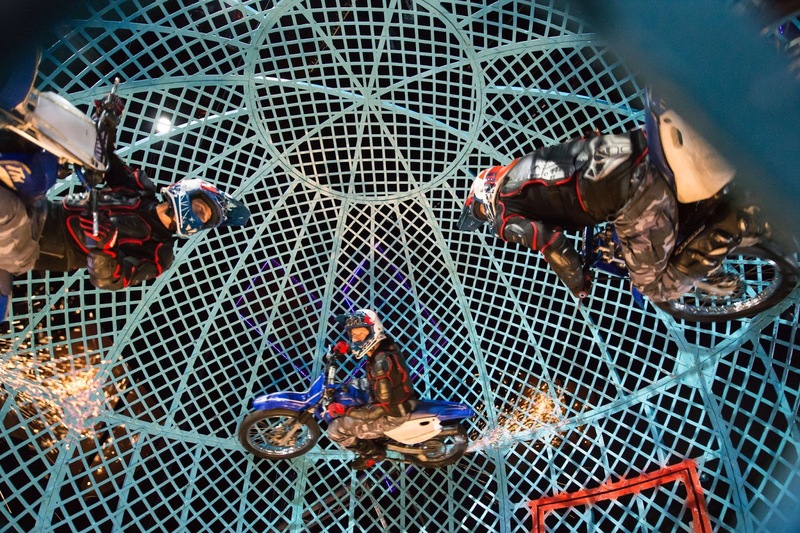 There’s a gritty sense of unpretentious wonder at Cirque Berserk’s touring show, currently playing at the Peacock Theatre in central London. Forget that other show across town with its overpriced seats, in an oversized arena – this sensational circus couldn’t be more traditional if it tried. 2018 marks the 5th year that Zippos have sent their Berserk show on the road and the assembled talent is astonishing. There are neither live animals here, nor human freaks to be gawked at – rather a collection of ridiculously skilled individuals many of whom, literally, have circus in their blood. 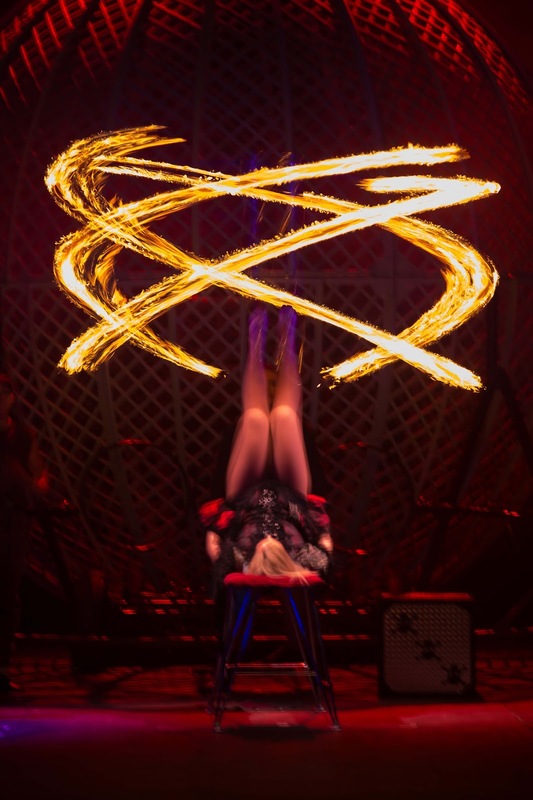 Germaine Delbosq (a 12th generation circus performer) juggles fire – with her feet! And when she’s not doing that, alongside husband Gabriel she performs an astonishing routine that combines the pulse of flamenco with the hypnotic swing of Argentinian bolas. Czech Toni (6th generation circus) throws knives at his 7th generation wife as she spins on a wheel; the Tropicana troupe soar through the air via the simple use of human bodies propelled from see-saws. Using only gravity and skill two men jump, sending a third man up to the height of the Peacock’s lighting gantries and landing him in a chair! In a truly wicked act, defying gravity is re-defined. There is loads more to enjoy, as between the acts Tweedy the Clown (1st generation, trained in circus skills after leaving school) delivers a cracking routine of classic physical comedy and slapstick. These gags and acts are centuries old and yet, in the hands (and legs and bodies) of this tremendous troupe, their acts seem timeless and eternal. 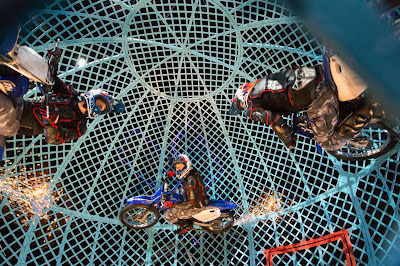 A nod to the 21st century comes with the finale to both acts as the Lucius Team's four motorcyclists, engines revving, enter a steel mesh sphere. Accelerating to 60mph the bikers weave a meticulously choreographed routine amongst themselves, with centimetres to spare. Death defying, literally. At Cirque Berserk, with no special effects or illusions, what you see is what you get. Accessibly marketed (the top price at the Peacock will get you a restricted view at the Royal Albert Hall) this is a show that families can afford and all generations will enjoy. Prise your kids away from their screens – entertainment does not come more perfectly performed.